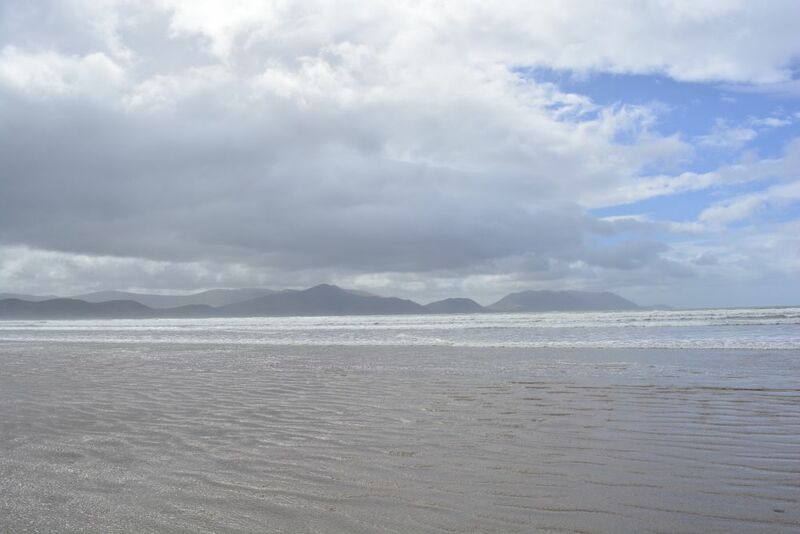 As you cane see, the pictures have been taken at different times of the year and in a variety of weathers! 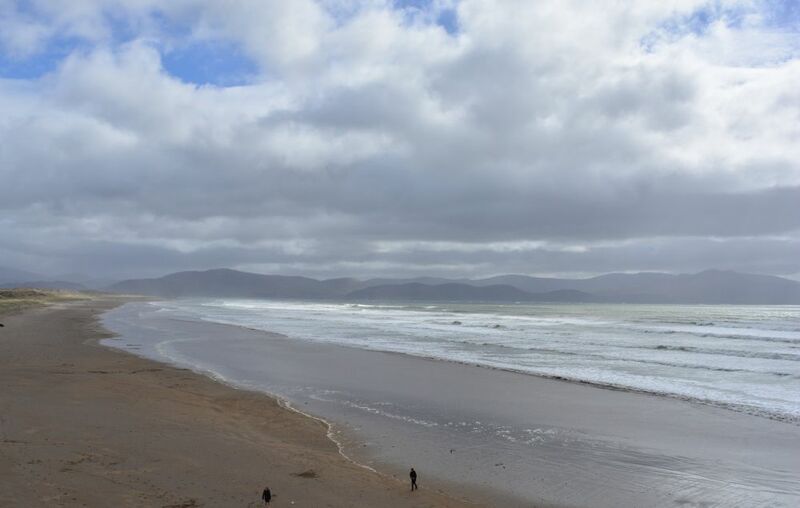 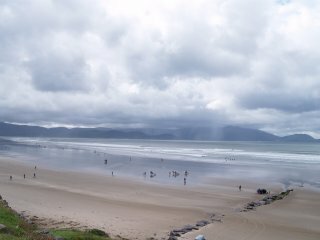 Inch Beach - great in the summer for beach fun & relaxation and sea bathing & surfing, but a great atmospheric 'grey' winter walk too! 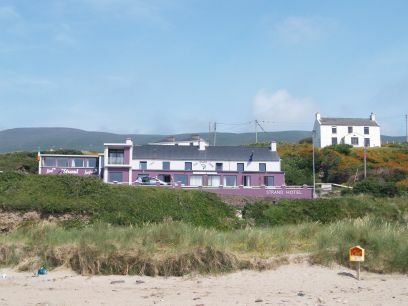 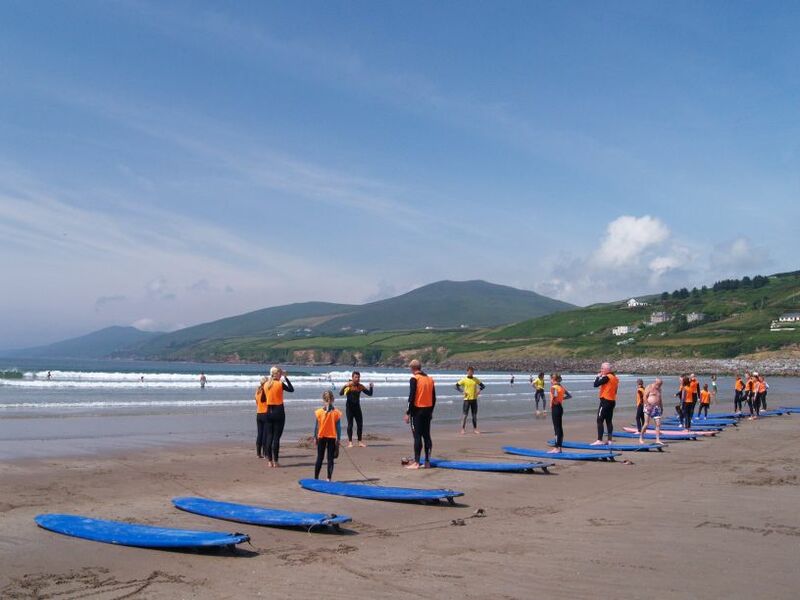 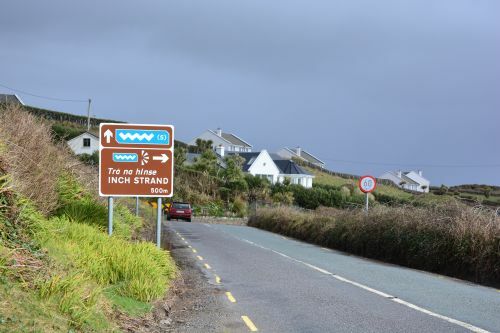 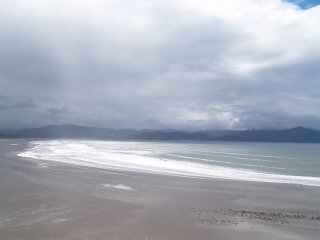 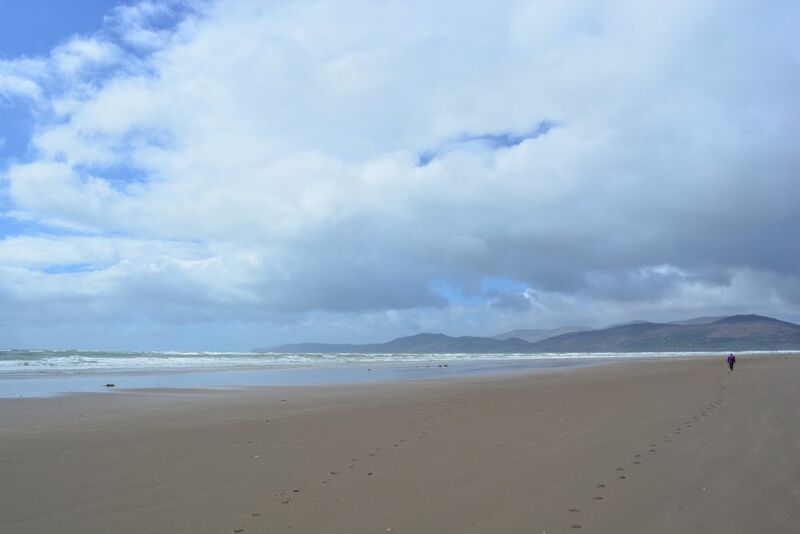 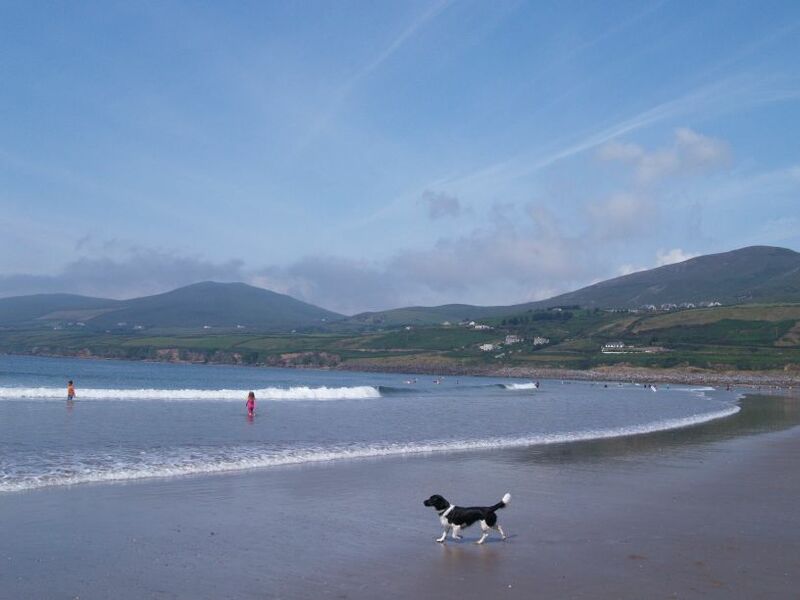 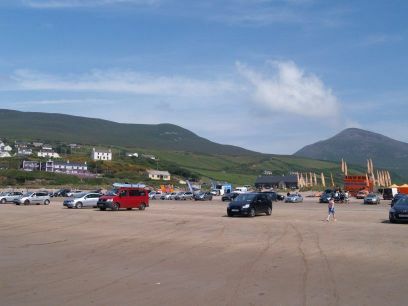 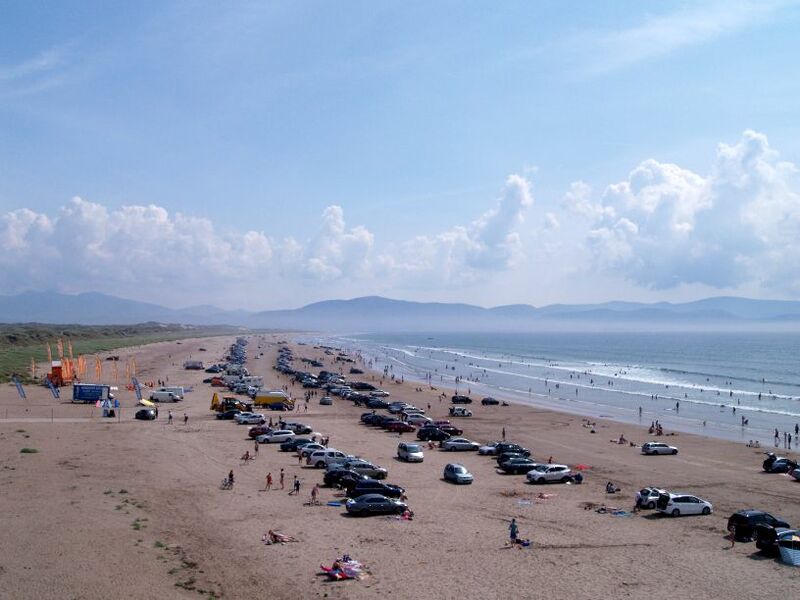 You take the N86 main road east out of Dingle and fork right onto the R561 to reach the fabulous and famous Inch Beach. 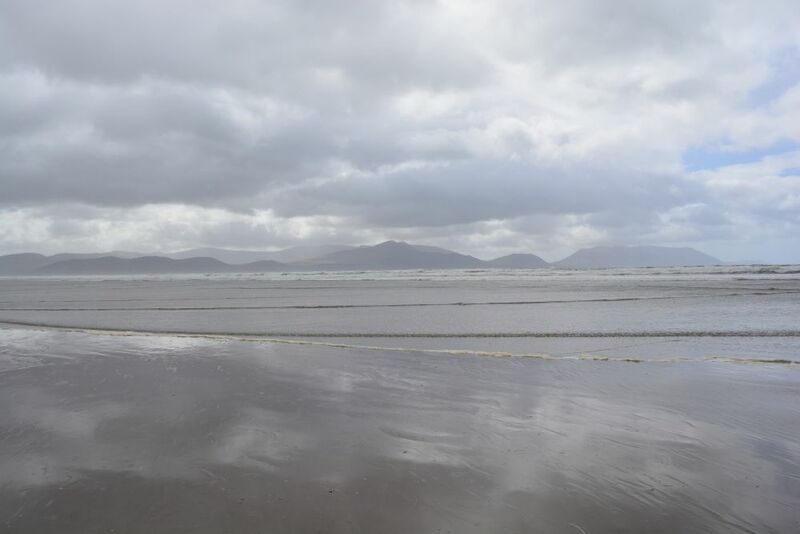 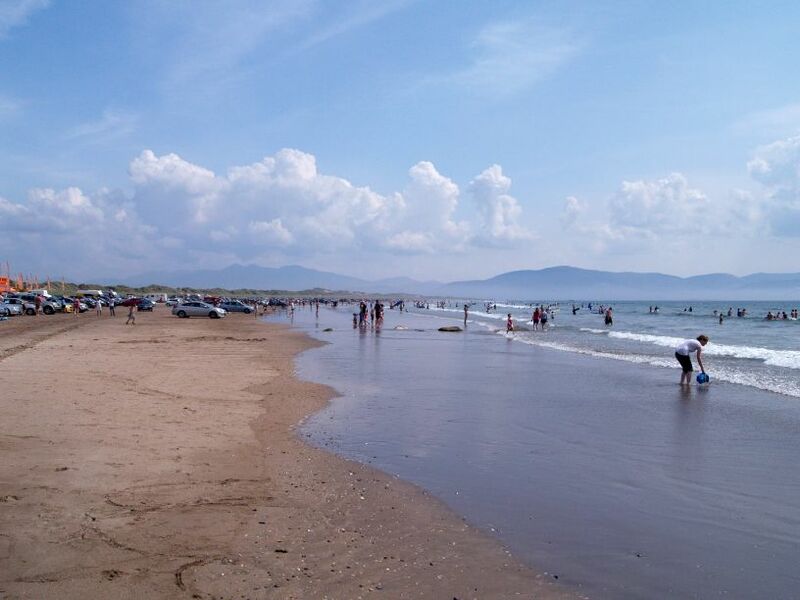 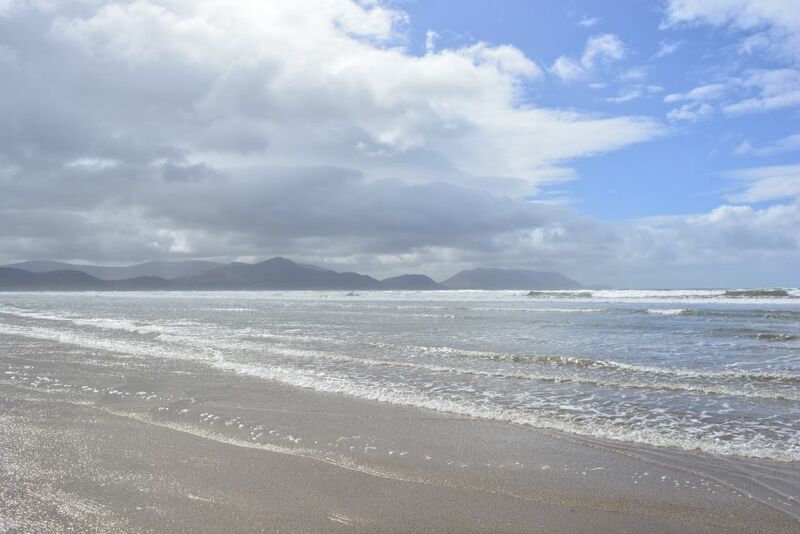 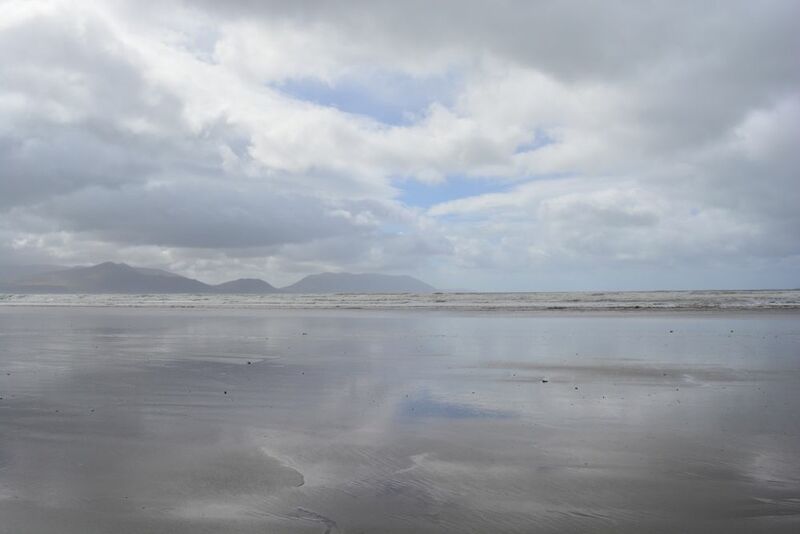 The great expanse of Inch Beach with the mountains in the distance across Dingle bay. 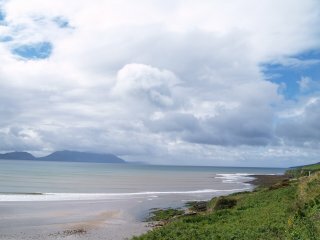 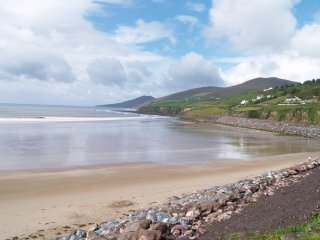 The north end of Inch beach, looking westwards towards Dingle. 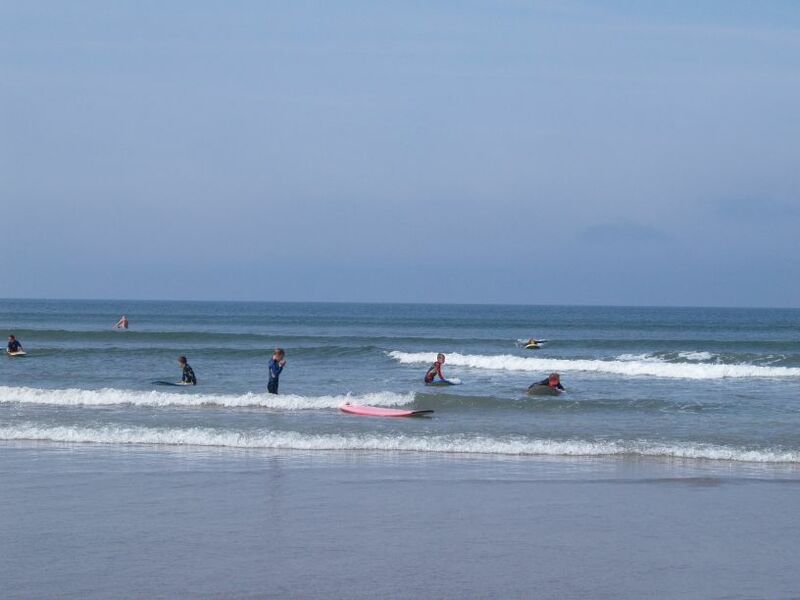 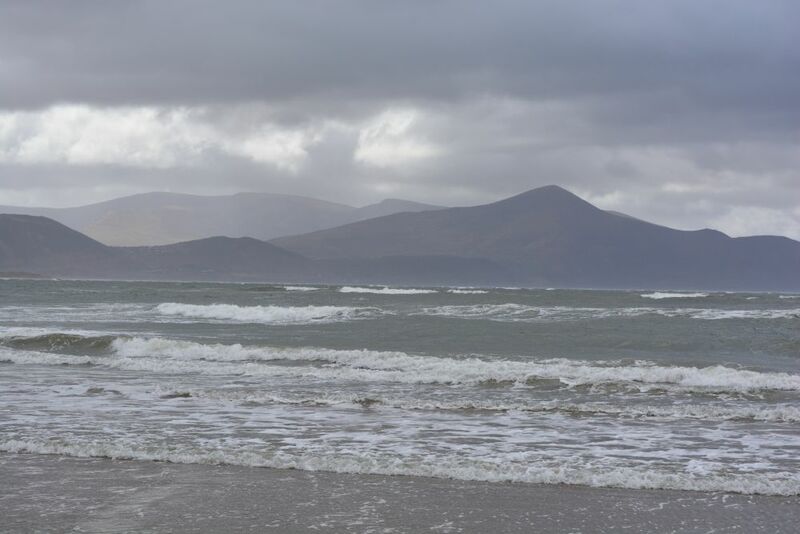 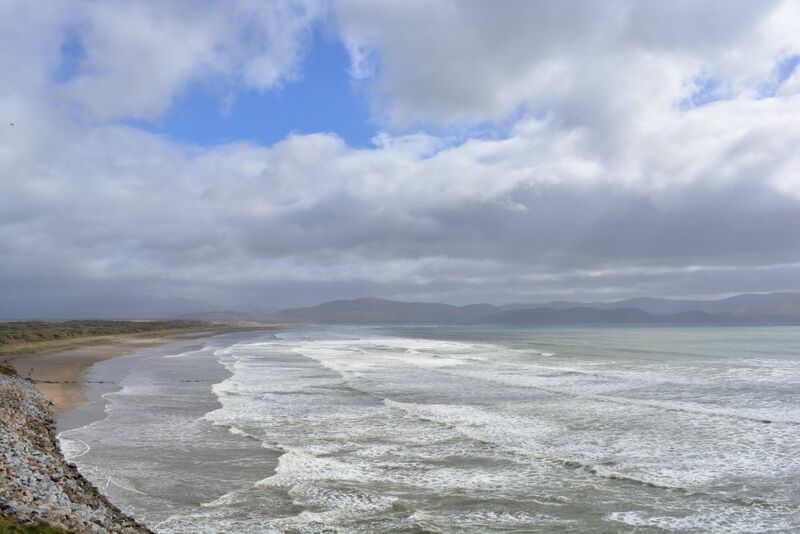 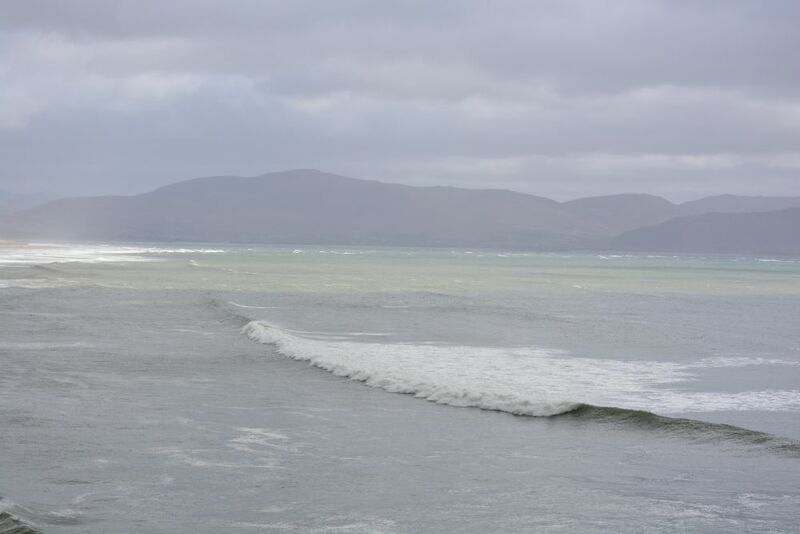 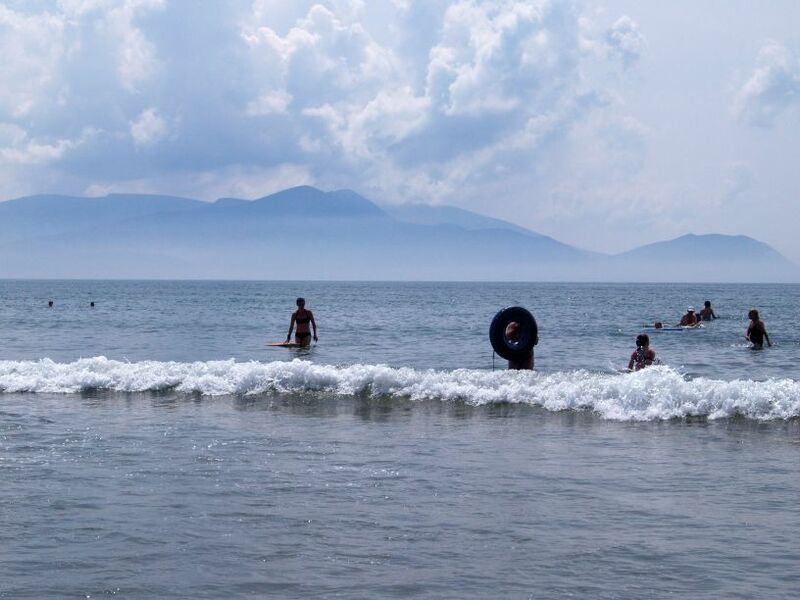 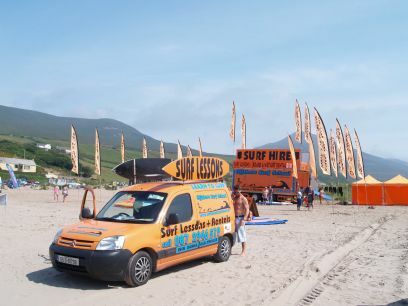 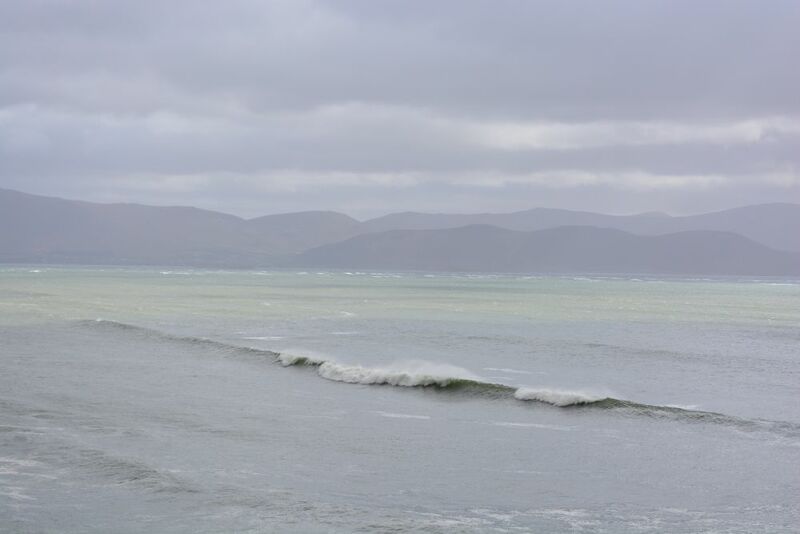 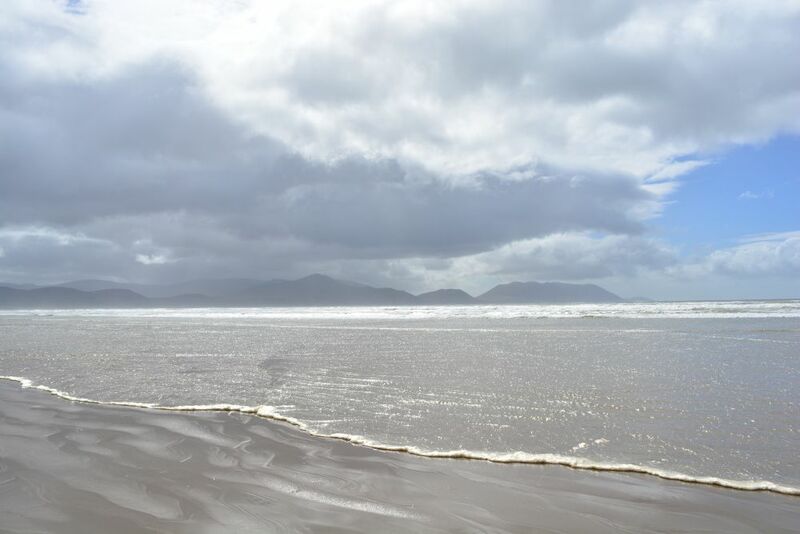 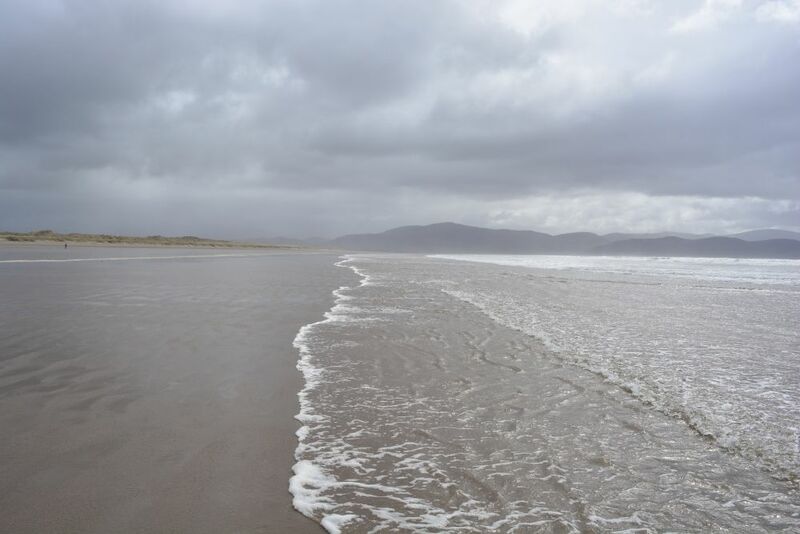 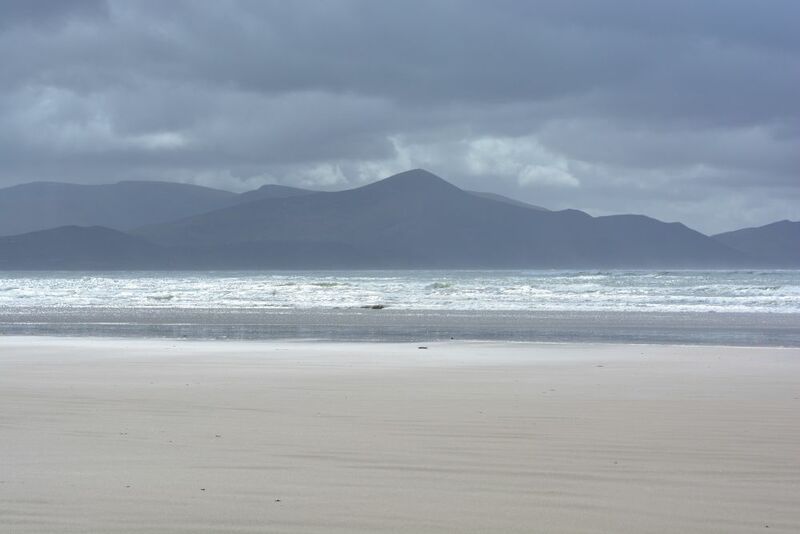 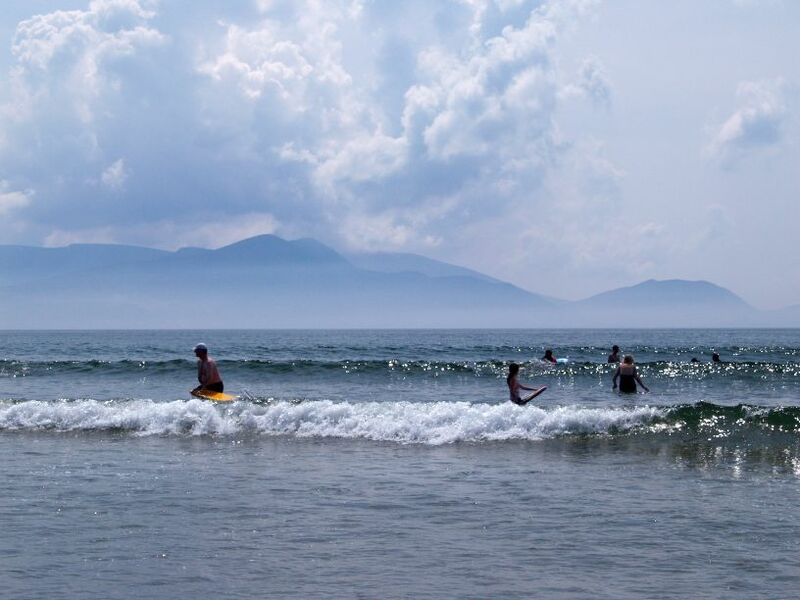 Inch strand is a favourite beach for surfers, since it usually has great breakers crashing in! 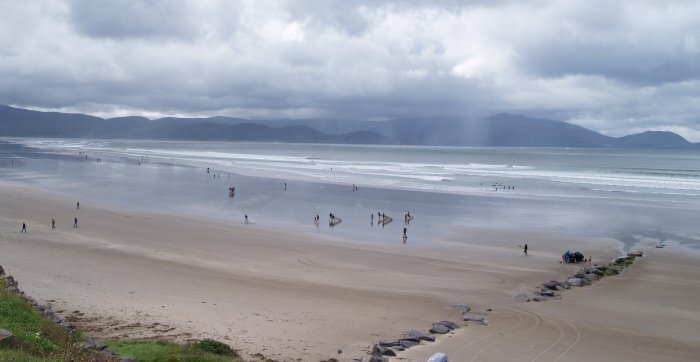 The weather turned so bad, even the surfers came out! 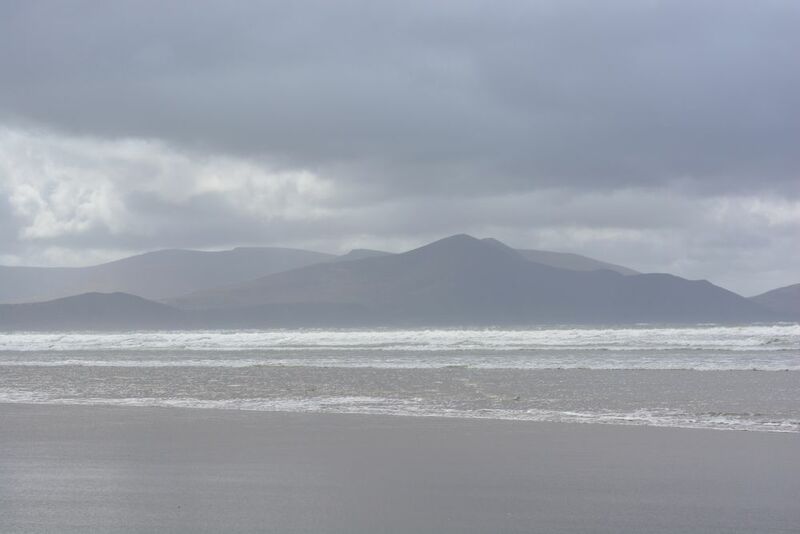 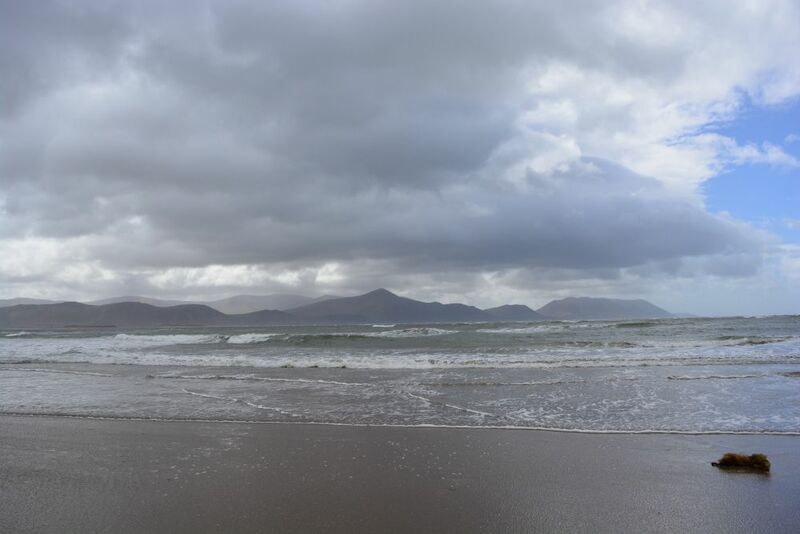 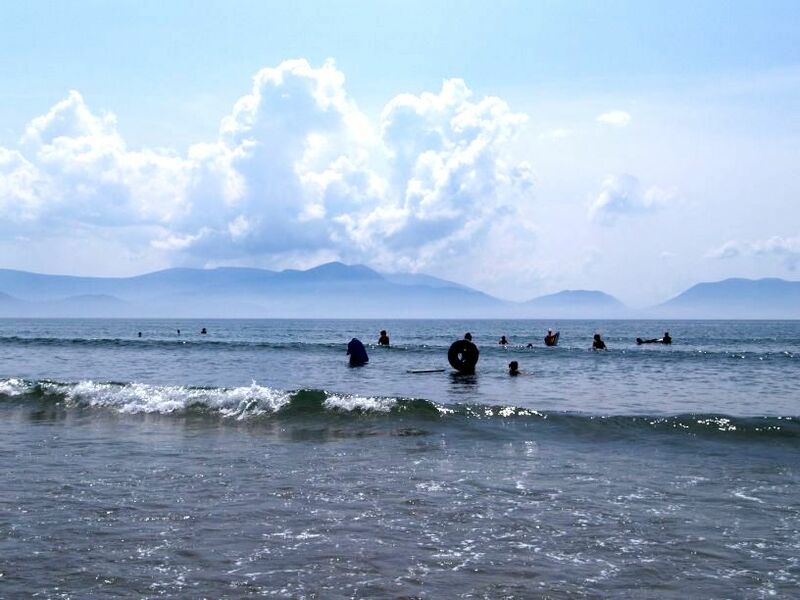 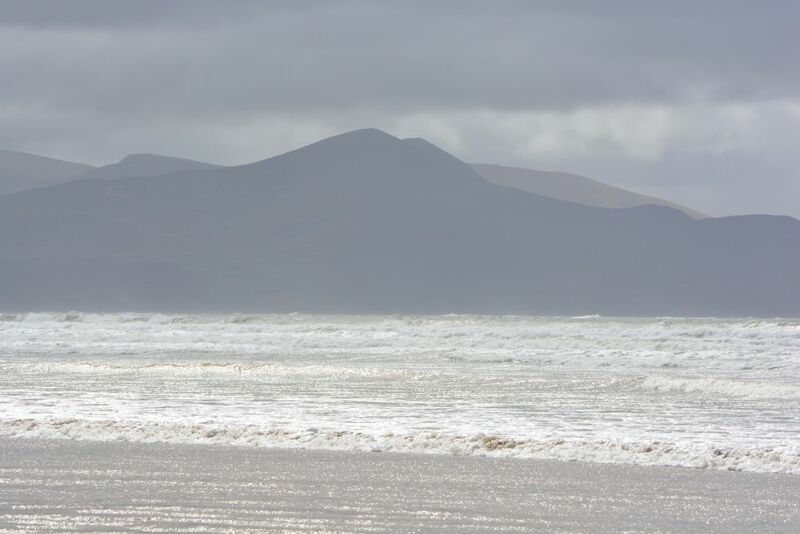 The north end of Inch beach, looking across Dingle Bay and the mountains. 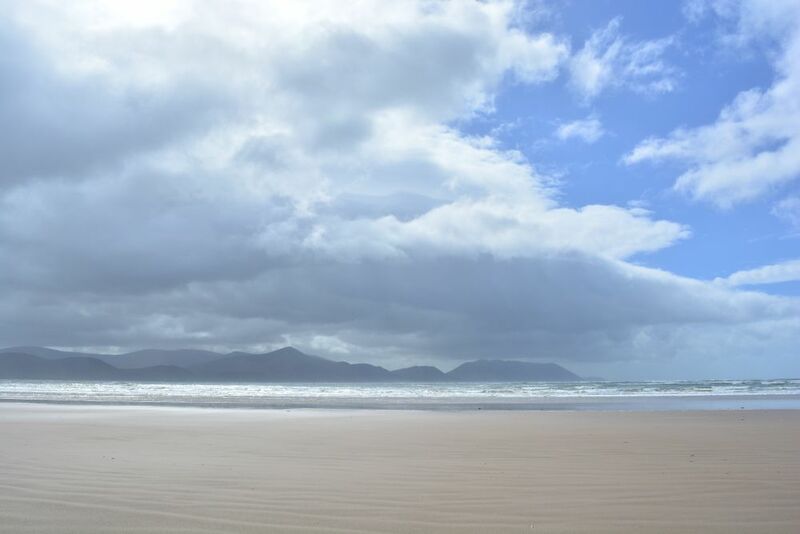 Very atmospheric, but the set of images of Inch Beach below were shot on a much sunnier day! 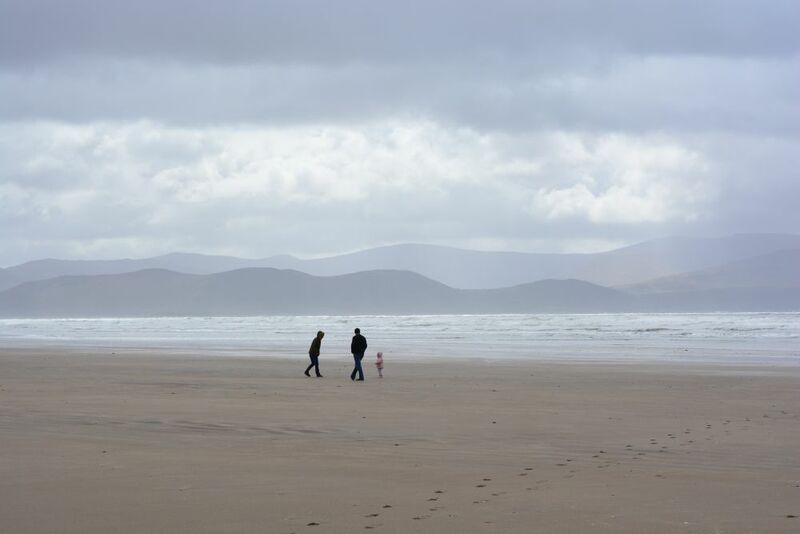 In fact the whole family had a great day on Inch Beach! 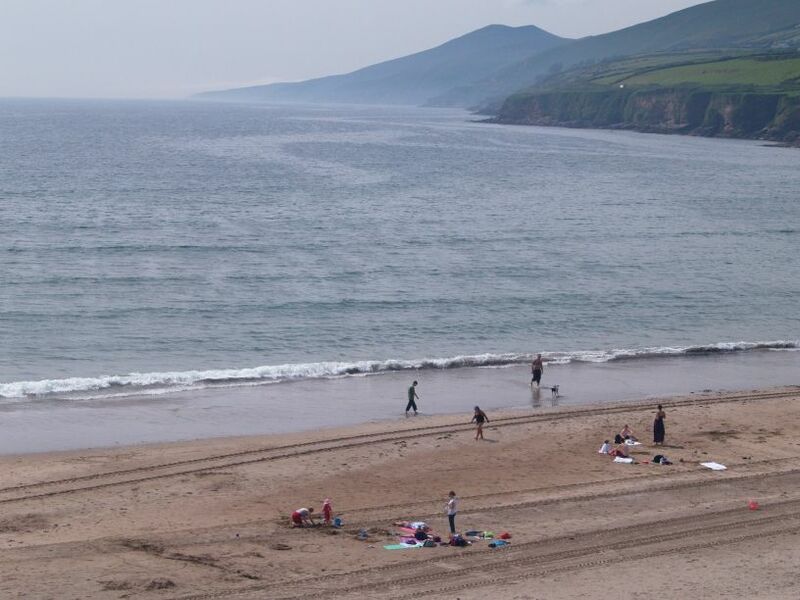 Inch Strand-Beach, Dingle Peninsula, County Kerry, West of Ireland: The Strand Bar is above the fabulous and huge Inch Beach, Dingle Peninsula, Co. Kerry, Ireland. 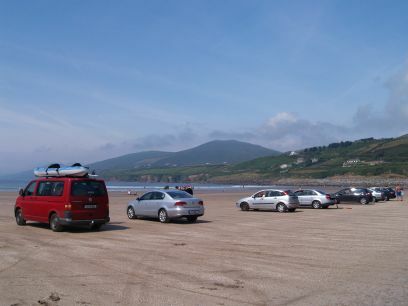 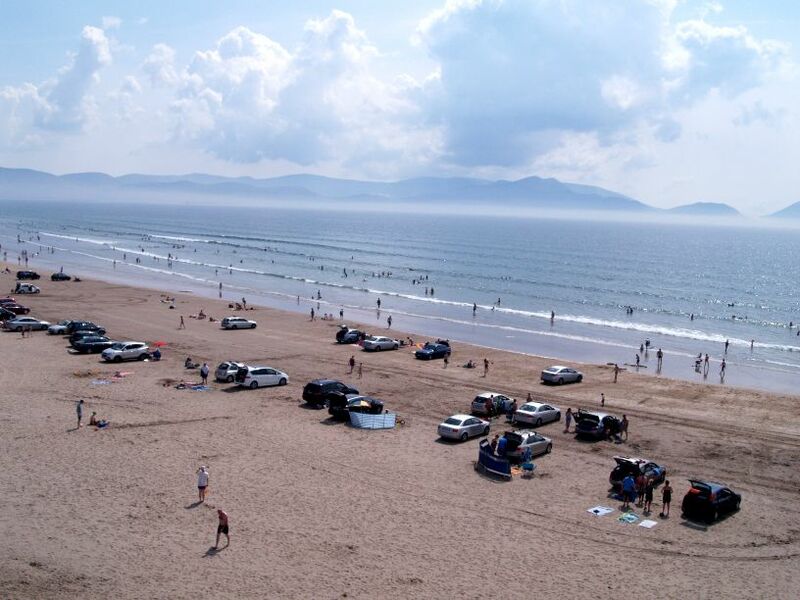 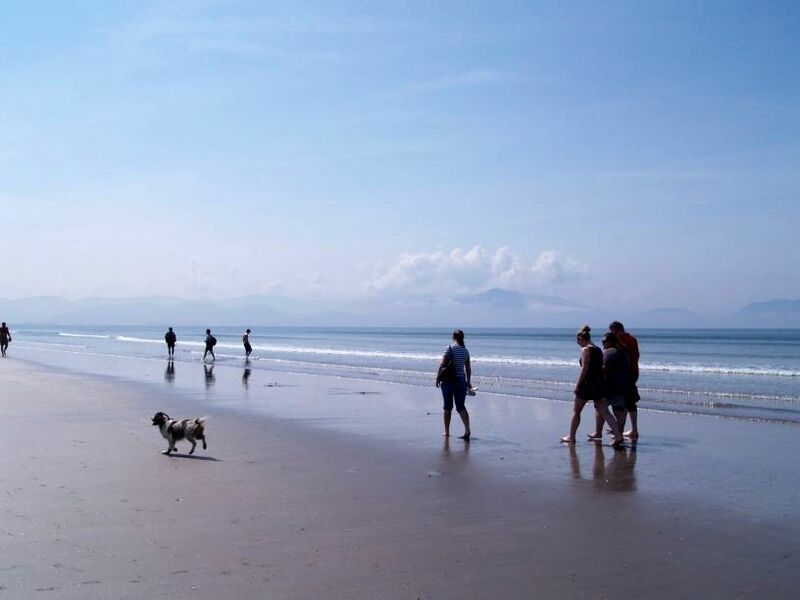 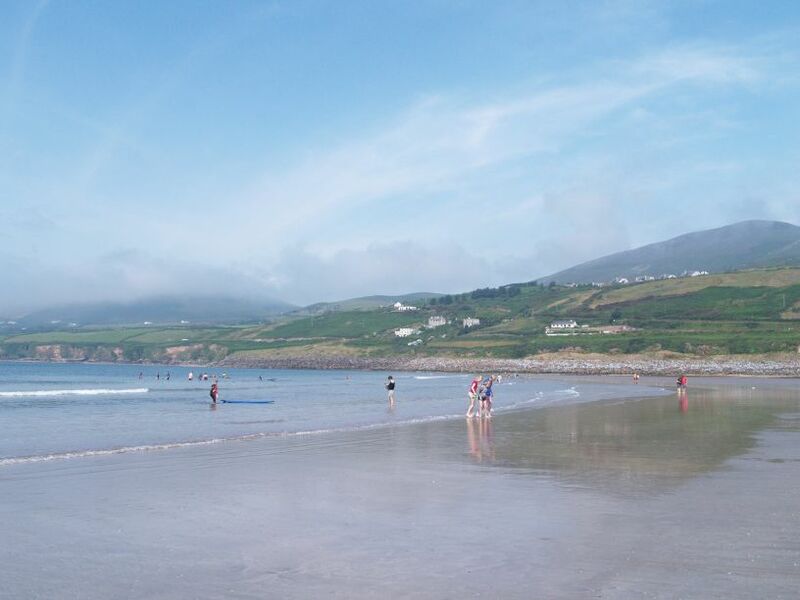 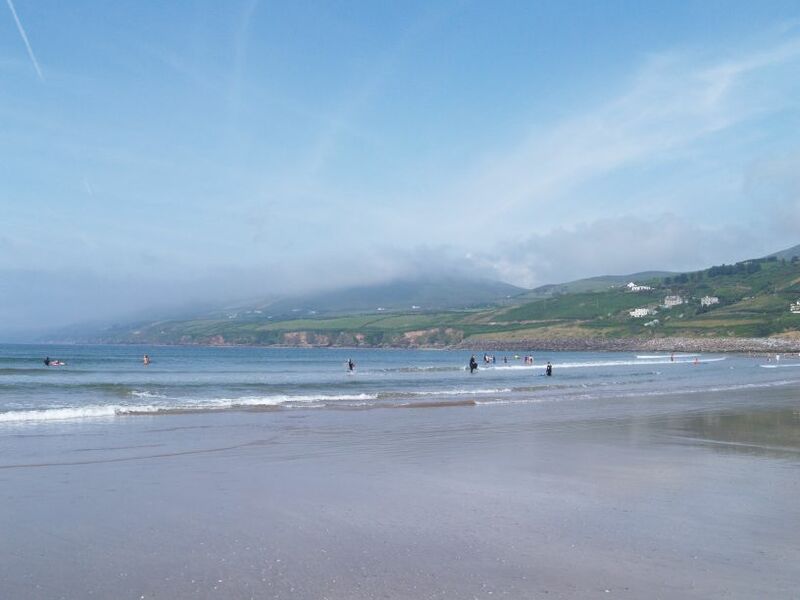 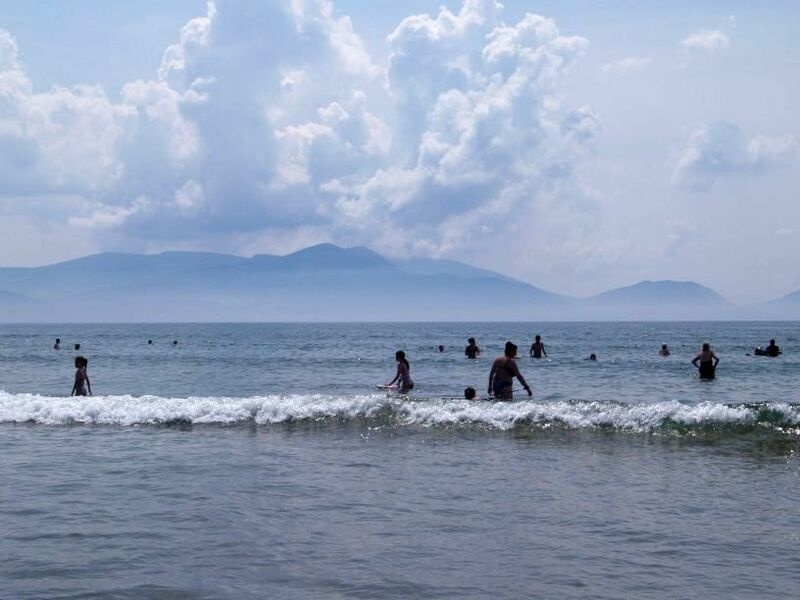 Its a favourite Irish strand for surfers and family holidays on the beach alike and a great place for a picnic and a stroll on a wild and scenic beach - an extraordinary place! 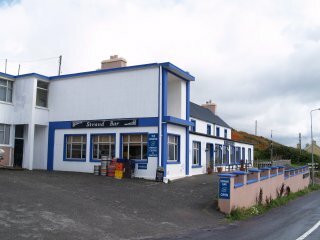 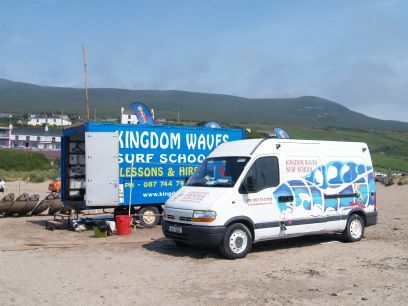 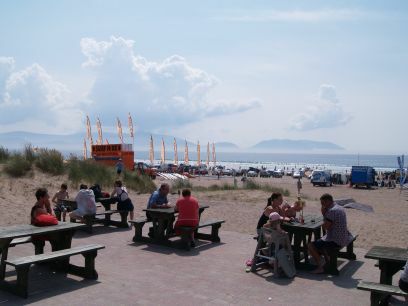 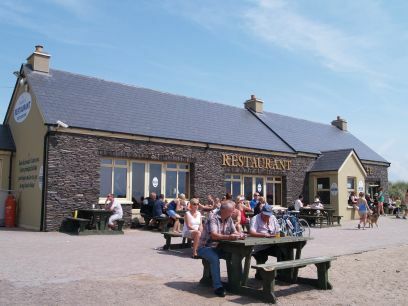 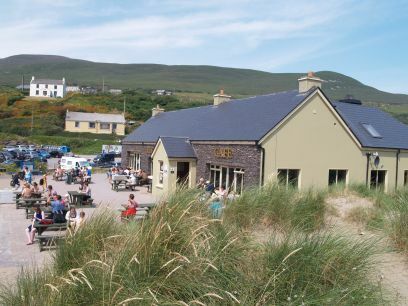 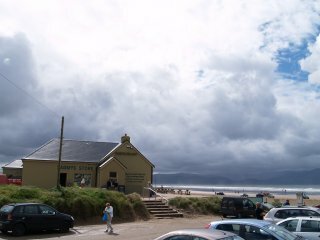 Sammy's Store and Cafe-Restaurant lies at the start of the expansive surfing and 'walking' beach at Inch.